It was after closing time and the museum was quiet and empty, except for a small group of us who had been allowed into the Bug Lab exhibition after hours for a self-guided tour. In the hushed gloom of the exhibition I wandered among the exhibits and stopped in front of a screen explaining the reproductive habits of the jewel wasp. Jewel wasp – such a beautiful name. I started reading about this creature that is found in the Pacific Islands and tropical parts of South Asia and Africa. As I read, my spine went cold, my jaw slackened, the room around me was suddenly empty, swimming with shadowy menace. A repressed memory came back to me from the time, probably when I was about ten years old, I’d seen The Fly on video, the harrowing David Cronenberg version where scientist Jeff Goldbloom attempts to teleport himself, but lets a housefly slip into the teleporter, in the process merging human and insect with horrific consequences. Here’s the jewel wasp’s claim to fame. When it seeks to reproduce, rather than just laying its eggs in a warm, dark burrow, it instead seeks out the American cockroach, which are plentiful in its habitat, then stings the much larger cockroach precisely in its ganglion, a sort of never cell cluster in the cockroach’s thorax. That sting serves to paralyse the cockroach’s front legs so it can’t run away from the metallic blue green invader. Then the jewel wasp delivers another sting to the cockroach’s head ganglia, injecting venom into the precise area of its brain blocking neurotransmitters that trigger the escape reflex. Sluggish and still, the cockroach then sits there meekly, while the jewel wasp proceeds to chew off half of each of its antennae, basically removing the ability of the cockroach to sense its way around and possibly preventing the venom from that second sting from killing it. Then the jewel wasp, tugging on the antennae stumps, leads the stupefied cockroach on a drunken stumble to its burrow and this is where things get really interesting. 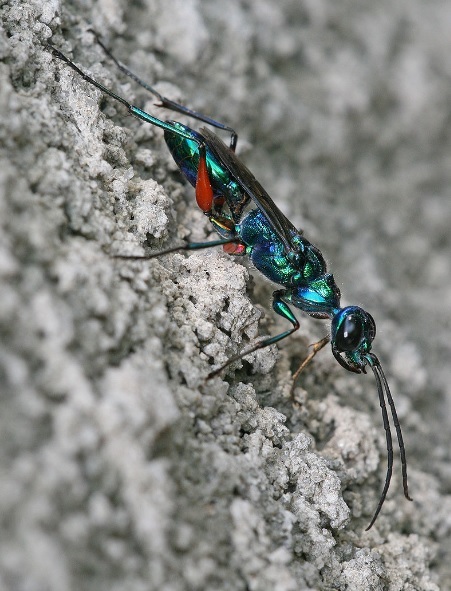 The Jewel wasp lays one egg on the stomach of the stunned cockroach, then withdraws from the burrow and piles a load of stones over the entrance to protect the burrow’s contents. The jewel wasp departs, never to return, but here’s where things get really interesting. Inside the burrow, the cockroach just lies there, in a venom-induced fug, while the egg develops, and after about three days, hatches. The hungry larva then starts to feed, burrowing into the cockroach’s abdomen. This doesn’t kill the host, and is not unique in the insect world, with a number of endoparasitoids undertaking similar techniques of eating their host alive. The larva will then start feasting on the cockroach’s innards, starting with the less critical organs so as to keep the cockroach alive for as long as possible – perhaps four or five days. It eats its host from the inside out, growing in strength as it develops into a pupa and builds a cocoon around itself, within the body of the cockroach, which by this stage may finally, mercifully, be dead. The jewel wasp then emerges from the cocoon and exits the burrow to enter a world full of cockroaches and opportunity. The female jewel wasp, after mating, can do this to dozens of cockroaches. Its unique feature is not in the way it paralyzes the cockroach and leaves it alive for its offspring to feed on, but in the way it leaves the much larger insect mobile and able to be led to its grisly demise. Scientists are fascinated with the jewel wasp, such is the sophistication of its biochemical and biomechanical features. It is a wonder of evolution and inspiration for endless Cronenberg nightmares. All of this is wonderfully outlined in a way that, remarkably, remains child-friendly, in Te Papa’s Bug Lab exhibition, which is in its final week and closes on April 17. The life, behaviour and biomechanics of the jewel fly, is just one aspect of a fantastic exhibition, that leaves you wondering at the insect world and what we can learn from it. It is a remarkable mix of science, art and interactive discovery developed in conjunction with Weta Workshop – don’t miss it! 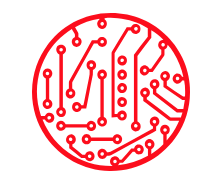 Sciblogs is offering the opportunity for Wellington-based readers to attend Bug Lab. We have a double pass and a single pass to give away – all you need to do is tell us what your favourite insect is and why in the comments here on Sciblogs or on our Facebook page. We’ll choose the the most eloquent odes to bugs as the winners! I’ve observed a brown New Zealand jewel wasp chase down and immobilise a large spider (possibly an orb web spider) by stinging it in the underside, then drag it away. It wasn’t clear if the spider was dead or paralysed. Being able to walk the prey to a burrow is a huge improvement. Bees, because they have an interesting home life, are industrious, pollinate flowers and make honey. And they need our support. The monarch butterfly has become a firm favourite in our household, after Mr 10 kept one as a “pet” which had a damaged wing at birth. It survived for over a month, and was happy as being supplied fresh flowers and honey water. It used to sit on his head/shoulder as he walked round the house. Very cute!